Since 1980, average income levels in United States coastal regions have risen more quickly than income levels in the Midwest.  The Bi-State Development Research Institute and the East-West Gateway Council of Governments are collaboratively studying differences in income growth among metropolitan regions in the United States. The goal of this study is to improve our understanding of the determinants of regional income growth, and to consider policy options aimed at reducing regional income disparities. This website presents research on the topic of regional wage divergence. Phillip Longman, Bloom and Bust . Washington Monthly, November/December 2015. The Problem of Regional Wage Divergence. Financialization, Corporate Consolidation and Inequality: National Economic Trends since 1980. Wage Divergence at Multiple Percentiles in the Income Distribution.